I’ve been thinking about why I love this time of year so much, this Scorpio time, why I find it so compelling. I’m not a Scorpio and have no planets there (except for Neptune – and I do have a prominent Pluto). Yet for me, an Aries child of the Spring Equinox, so full of the optimistic endeavour, it is during this intimate Scorpionic interface with death, when the veil between the worlds is at its thinnest, that I feel most in touch with who I am and what it is to be alive. The Sun entered Scorpio on 23rd Oct and will move into Sagittarius on 22nd Nov, and I thought it was worth reflecting on the number of annual events celebrated during this period that have a Scorpionic flavour connected to death and remembrance, seasonal transformation, due enactment, and the journey to the underworld. Today is 1st November, recognised and celebrated in Spain, Mexico & other Latin American countires as “Dia de los Muertos”, or the Day of the Dead. Families and friends gather to remember relatives who have passed, and private altars are built to honour the deceased. While in the Christian calendar, this co-incides with All Saints Day, it also traces back a lineage in Mexico to an Aztec goddess, Mictecacihuatl, The Lady of the Dead. All Saints Day is a direct descendant of All Hallows and, in Northern European Pagan traditions, the cross-quarter festival of Samhain, meaning “summer’s end”. In the Celtic calendar, Samhain marks the end of summer, the end of the harvest, and the beginning of winter. Indeed it marks the moment of the Celtic New Year. Traditionally, doors are left unlocked and food and drink is left out for the dead. 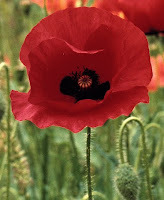 And at this time of year, of course, during the Scorpio cycle, it is traditional to wear a red poppy, in remembrance of those who died during the two world wars of the 20th century. World War I famously ended on 11th November 1918 (during the 11th hour) – and this established the date of remembrance day. Poppies have long been associated with sleep and death, and they have long been used as offerings to the dead. The poppy is associated with Persephone – Queen of the Underworld. In a particular variant of her myth, it is her picking of the poppy that Hades makes grow that allows the God of the Underworld to abduct her. It is interesting to note that the choice of date for Remembrance Day involved the mystic Wellesley Tudor Pole, who founded the Chalice Well Trust in Glastonbury and was a trusted advisor to Winston Churchill. Tudor Pole is also the inspiration behind the “Silent Minute”, a daily meditation that Churchill instated during World War II, and is often cited as a major factor in unifying the British people during that time. 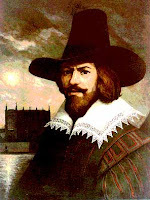 Next week, on 5th November in the UK, we still celebrate Guy Fawkes Night, where we traditionally light a bonfire and burn an effigy of Guy Fawkes, the Catholic restorationist, who attempted to blow up the Houses of Parliament in 1605. He was arrested in the early hours of 5th November during that year, and as a mark of due enactment, and possibly a reminder to others who might be so inclined to copy him, his effigy is ritually burned every year. Extraordinary that such a tradition should have last over 400 years, but it has, and perhaps it has because of its incredible timing, during the time of the year when it is traditional to light bonfires. A bonfire was originally a bone-fire, a Samhain tradition where animal bones were burned as a way of warding off evil spirits. In Sussex, Bonfire Night takes on a different slant, being associated with the execution of the Protestant martyrs. Hence, on 5th November the largest bonfire celebration in Britain takes place in Lewes, the county town of Sussex, and site of the last protestant execution. This is always a heated affair (forgive me! ), and tensions run deep in the town. Thousands of people attend every year, and the police have a policy of announcing that it has been cancelled to try and reduce numbers, though they would never dare cancel it of course! Several bonfires are lit simultaneously in different parts of the town. The most controversial of these involves the burning of an effigy of the Pope. I attended this event about 12 years ago with my girlfriend at the time, who was Italian – brought up a Catholic – and she couldn’t believe what she was seeing! To observe so many Scorpionic traditions constellating together at this time of year reminds me of the way that the calendar focusses our imagination and activates our deep knowing about the alchemical year, even if as a culture we have become largely unconscious of the process.